Our Quilt is Gender Neutral! 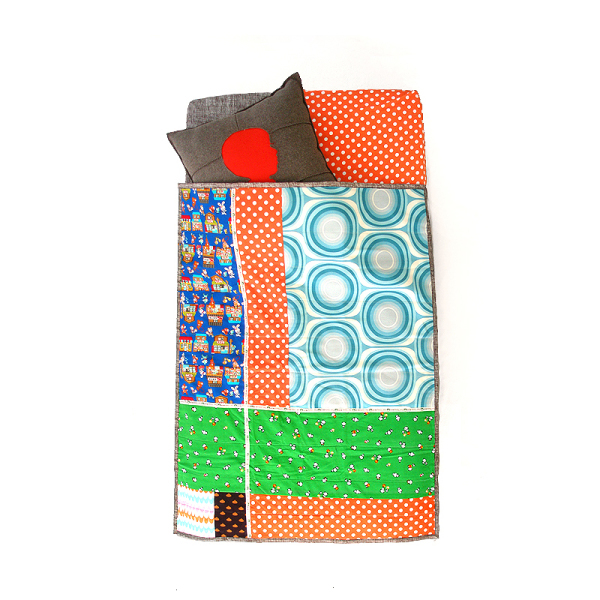 Buta Shop Quilt is an adorable 30″ x 40″ baby quilt that is part of our Modern Baby Quilts. This little quilt will look great with all of Aunt Bucky’s Bumper Sets and Crib Sheets. 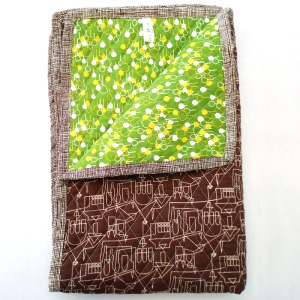 Especially, will go nice with our coordinating crib collection: Granny Patch ‘Buta Shop’ Patchwork Fitted Crib Sheet. It also looks great for those of you designing a Bumper Free Crib! Near-one-of-kind Baby Quilt/Blanket/Play Mat/Stroller Cover. Great choice for a shared room with toddler and baby, and you can have the same look/feel/design in our Twin Quilt set, ‘Buta Shop’ . SKU: AuntBucky_BS_Quilt. Categories: Babies, Quilts, Sale. Tags: Aunt Bucky, baby gift, Baby Quilt, baby shower gift, bumperfree crib bedding, Bumperless Crib Bedding, infant, modern quilt, motherhood, newborn quilt, parenthood, patchwork quilt, play mat, pregnancy, quilt, retro crib bedding, retro quilt, stroller blanket, vintage baby bedding. 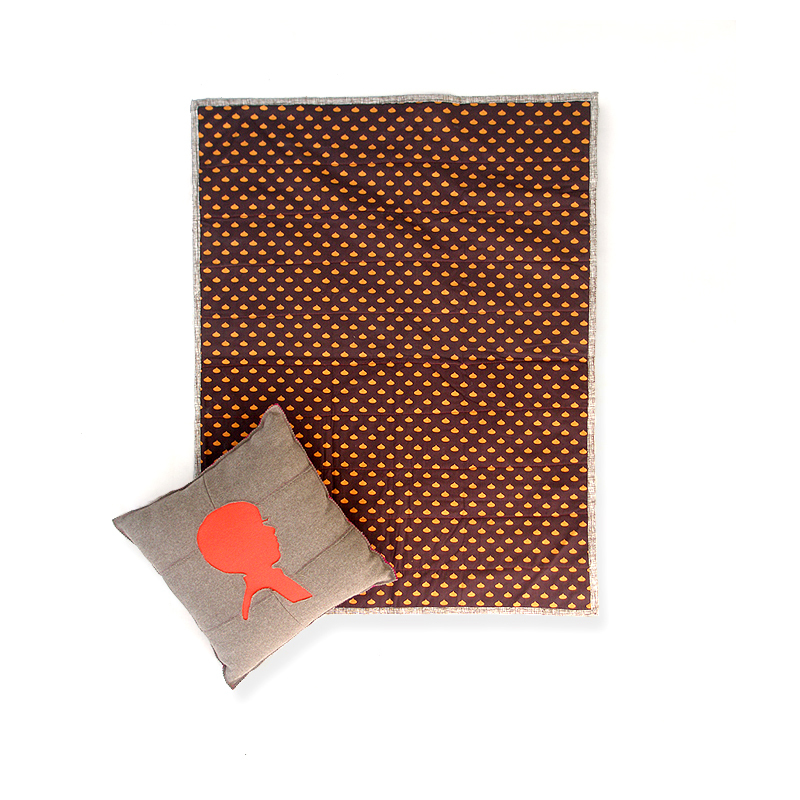 Buta Shop Quilt Blanket is on SALE for $40.00! 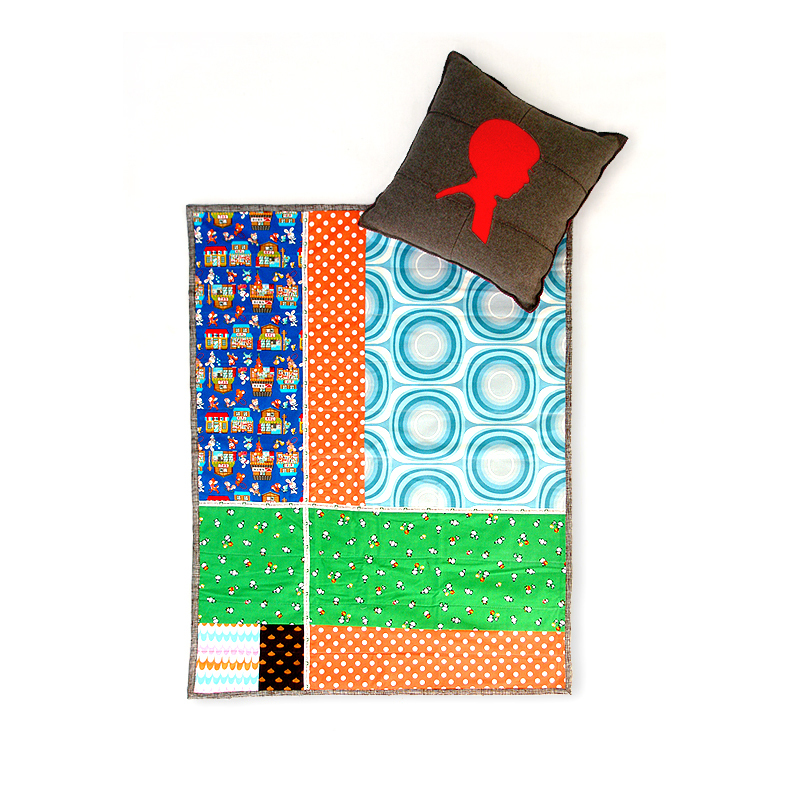 Buta Shop Quilt Blanket is an adorable 30″ x 40″ baby quilt that is part of our Modern Baby Quilts. This little quilt will look great with all of Aunt Bucky’s Bumper Sets and Crib Sheets. 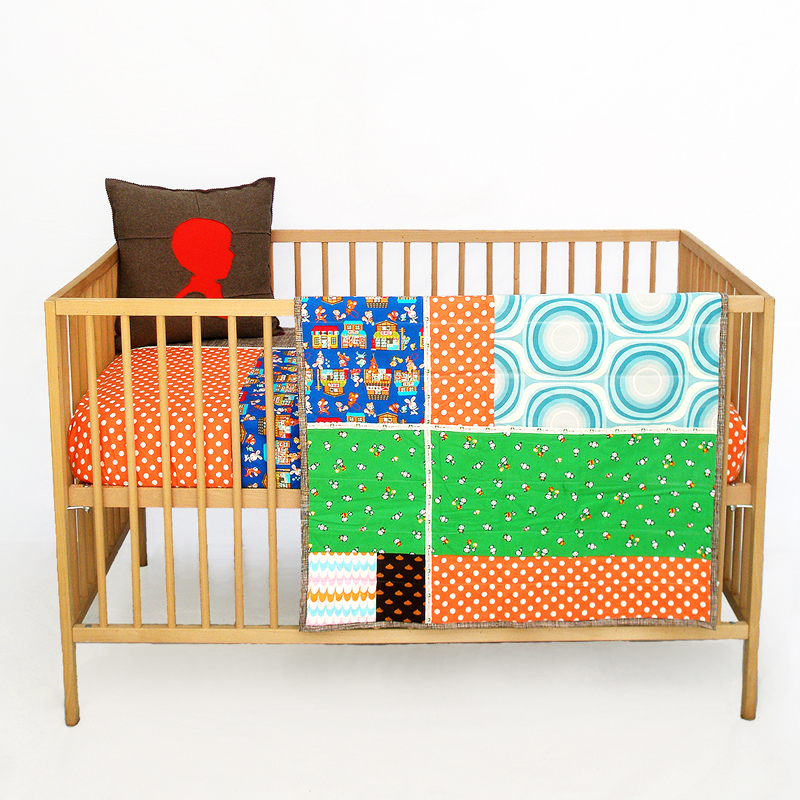 Especially, will go nice with our coordinating crib collection: Granny Patch ‘Buta Shop’ Patchwork Fitted Crib Sheet. It also looks great for those of you designing a Bumper Free Crib! 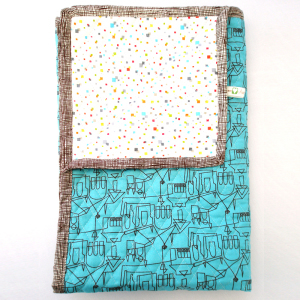 Near-one-of-kind Baby Quilt/Blanket/Play Mat/Stroller Cover. Great choice for a shared room with toddler and baby, and you can have the same look/feel/design in our Twin Quilt set, ‘Buta Shop’. Our bedding collection is one-of-a-kind, just think you get to mix-n-match what bumper set/quilt/sheet you want for your baby’s crib. This is not another “bed in a bag” choice that is so limiting on how you can decorate your baby’s nursery. About our Designs: About our Designs: Playing off of the design technique common to quilting in which bits and pieces of fabric scraps collected over time are pieced together to form something new and different, all of Aunt Bucky’s designs include textiles gathered from varied sources, including fabrics no longer in production and by textile artists who they themselves limit their fabric quantities and print runs. As a result the Aunt Bucky line is ever evolving and truly unique. Our collections will always include the same style selections and design sensibility, but the individual fabric prints may vary. This process is therefore somewhat improvisational and produces near one-of-a-kind pieces.